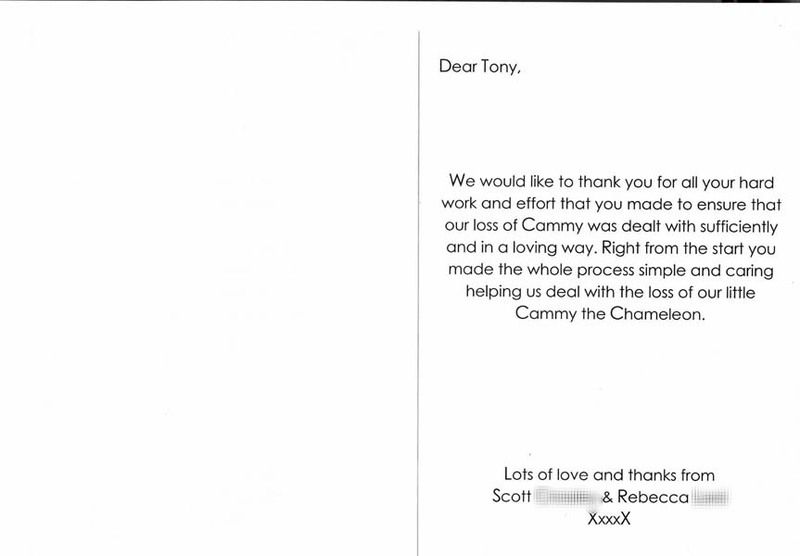 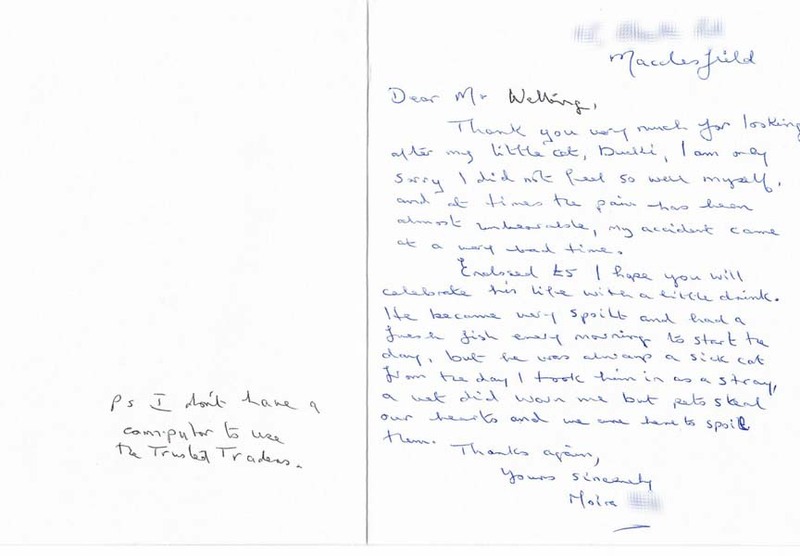 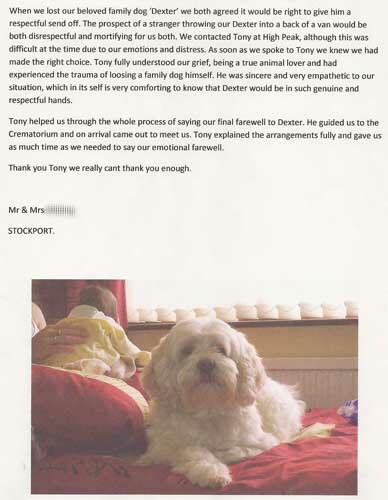 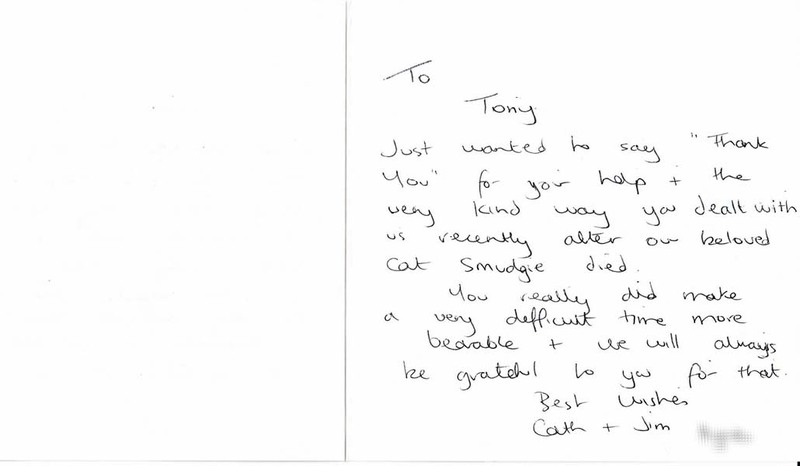 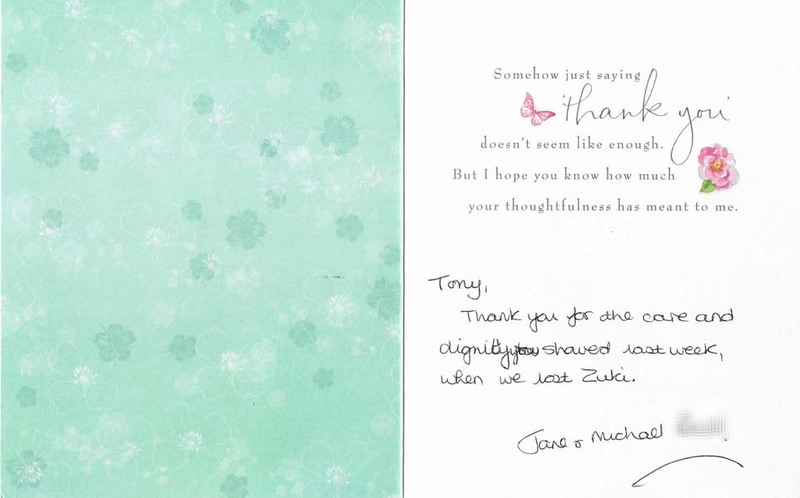 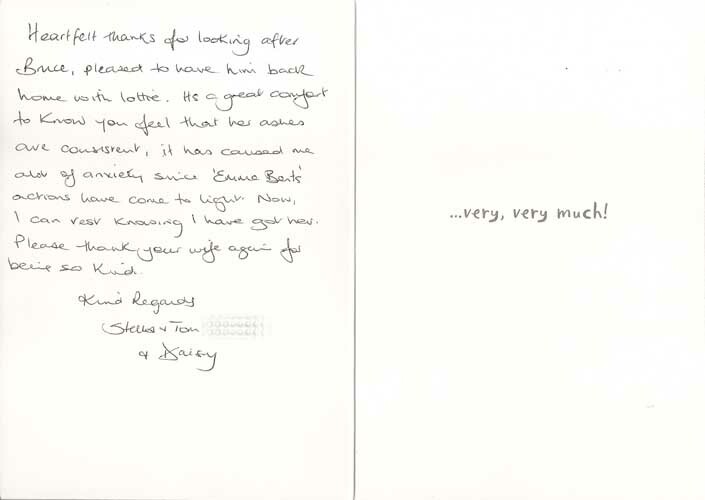 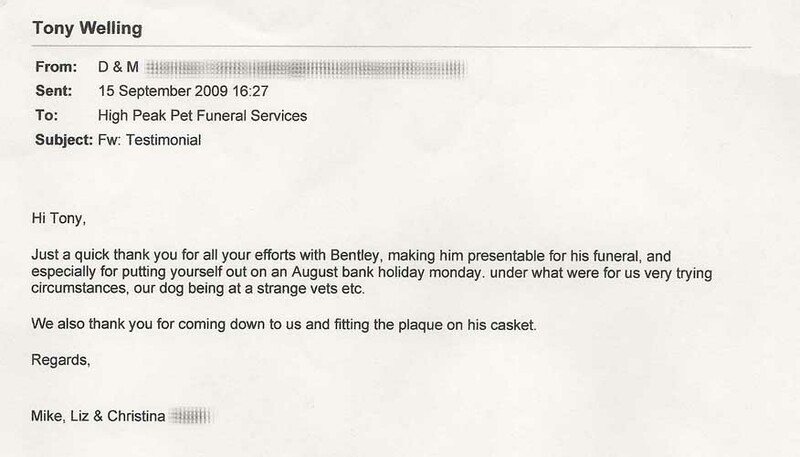 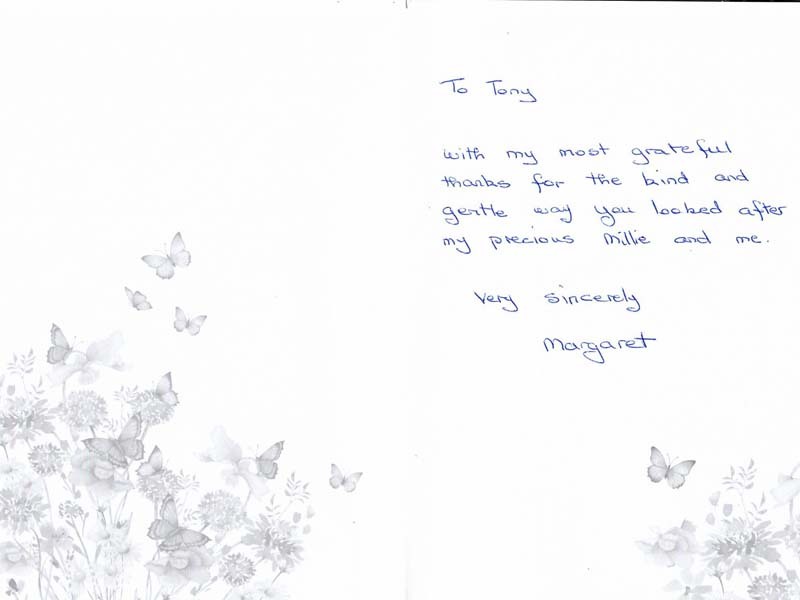 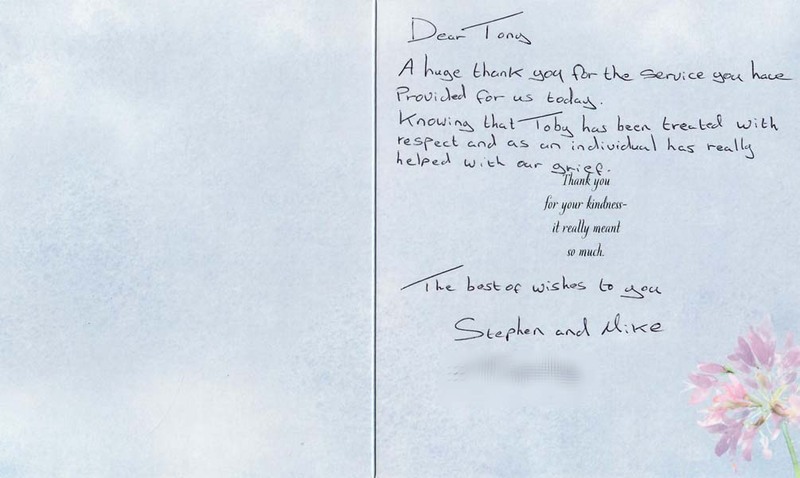 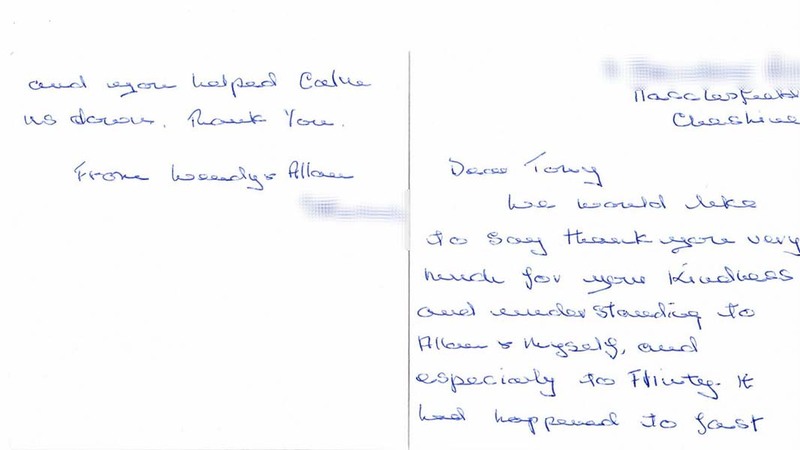 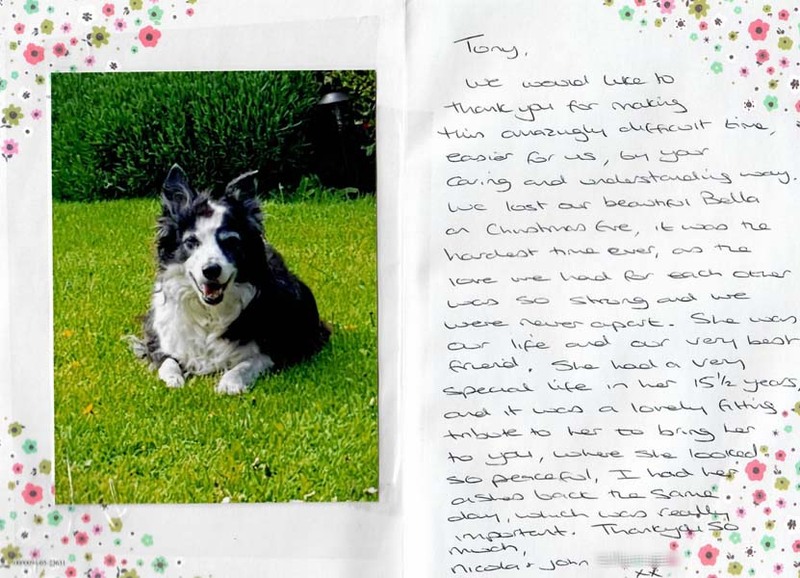 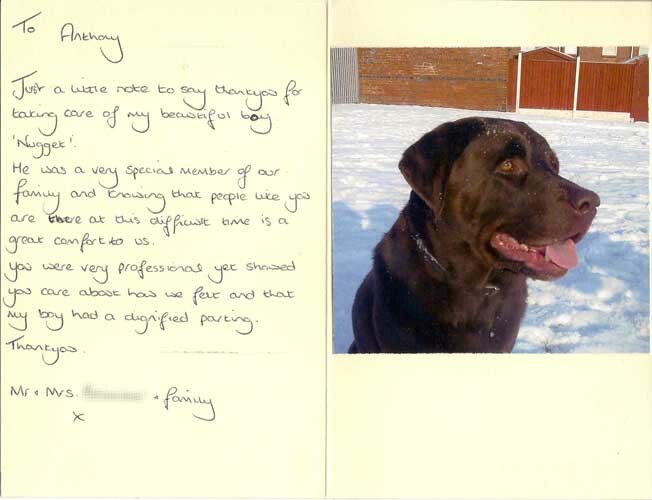 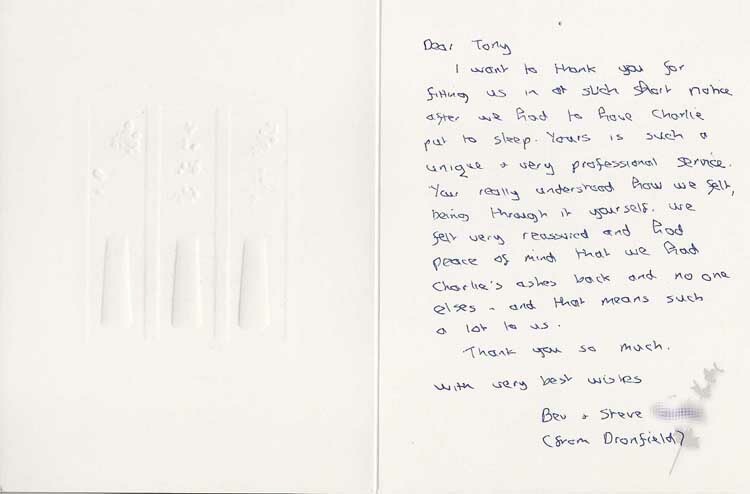 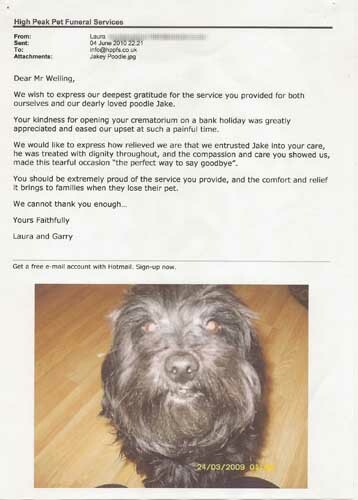 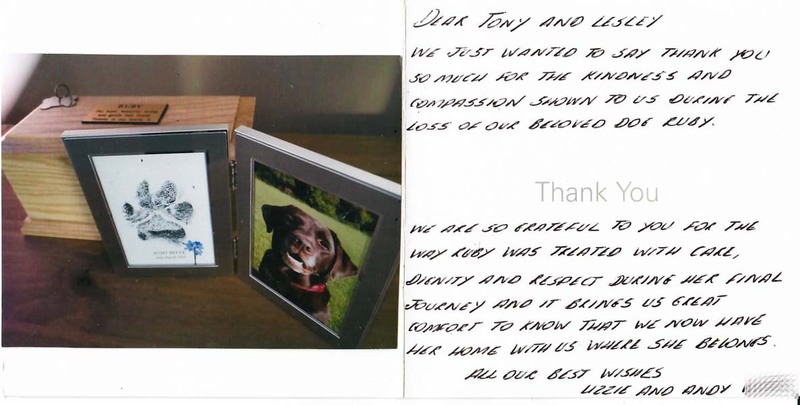 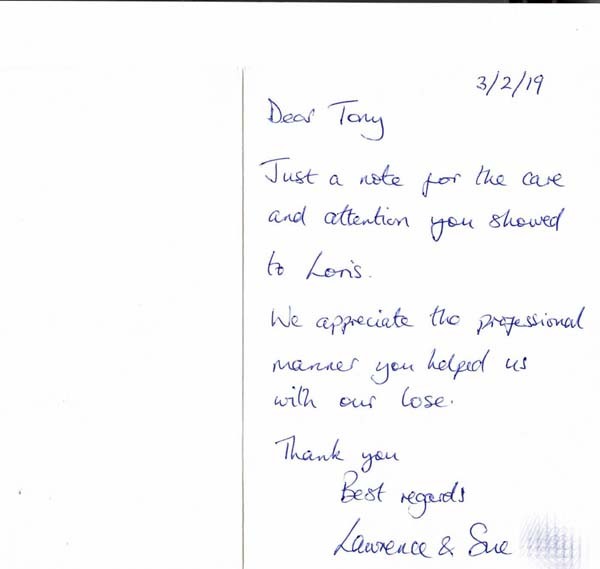 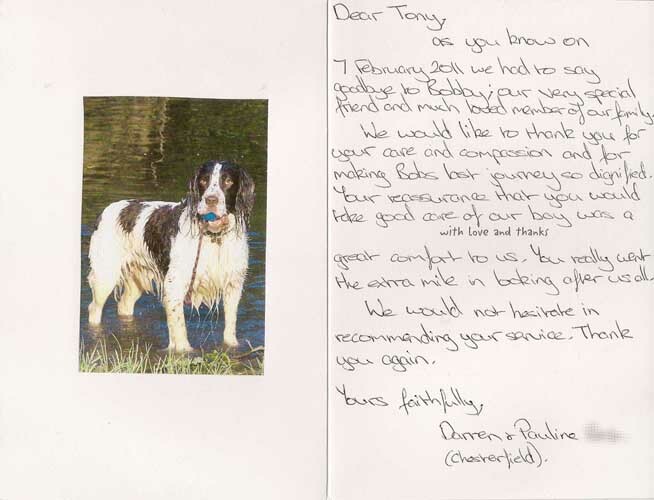 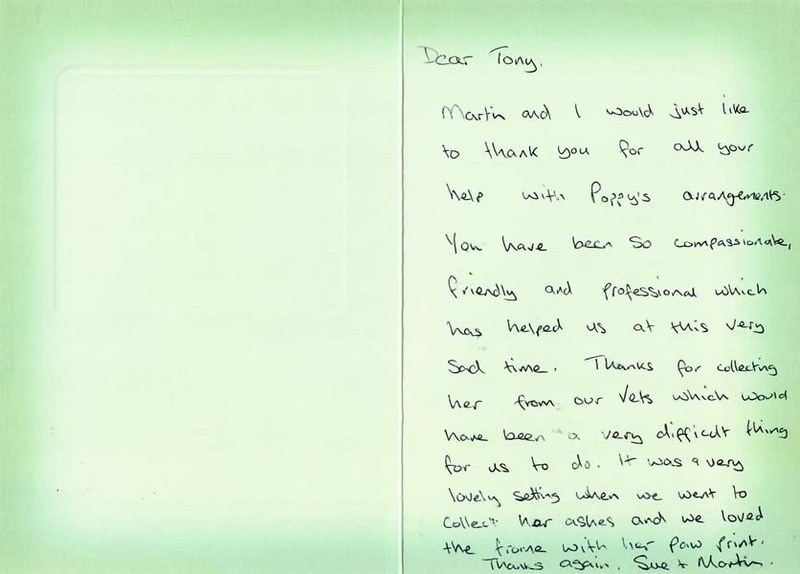 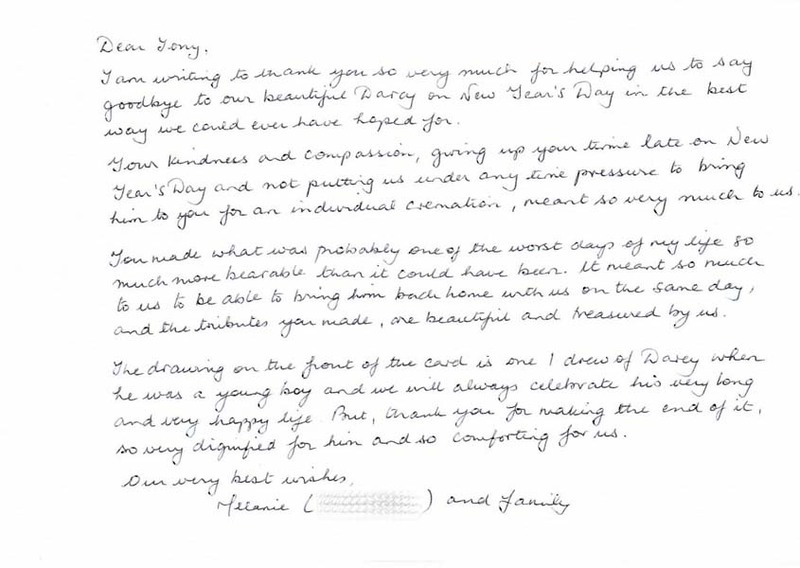 This page contains a small sample of the many cards, messages and e-mails we have received over the years from clients who have used our services. 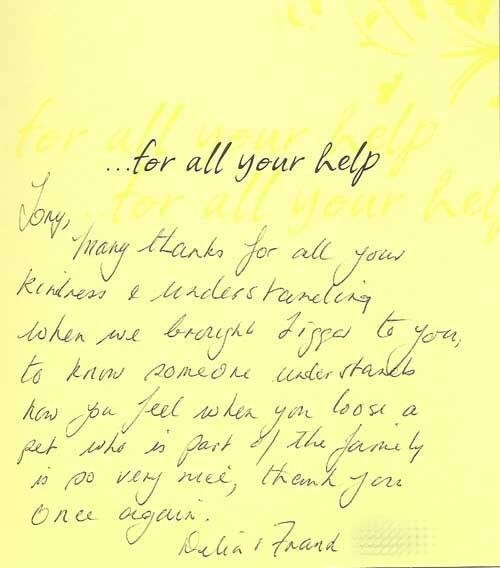 We are grateful to all of them for taking the trouble to let us know how we have helped them through a difficult time. 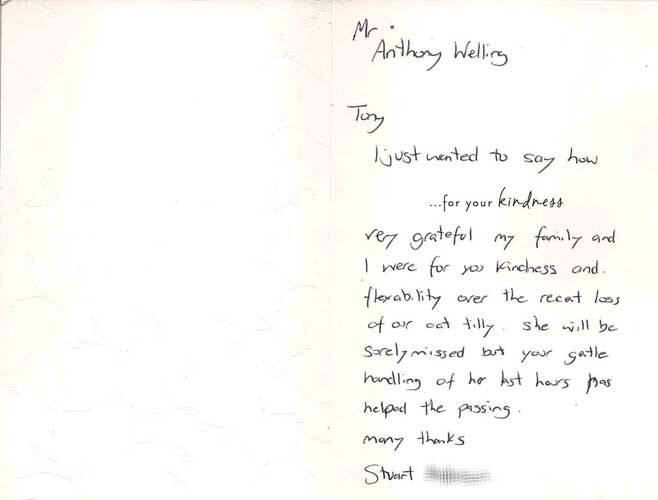 If we have been able to help in some small way then what we do has been worthwhile. 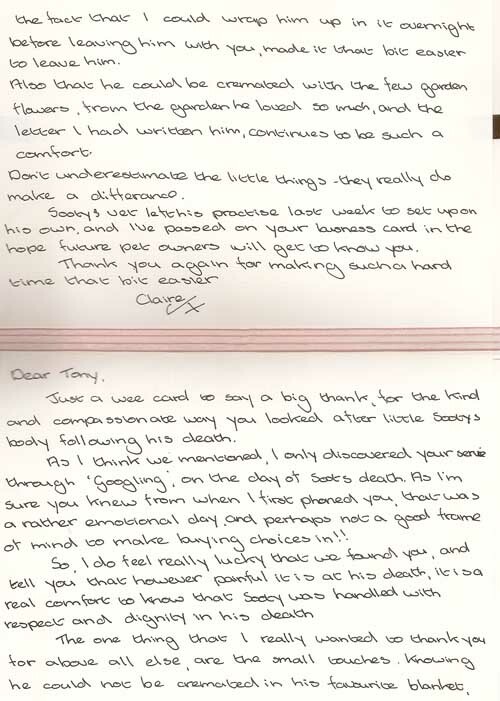 To view the original letter or email, simply click the testimonial image.